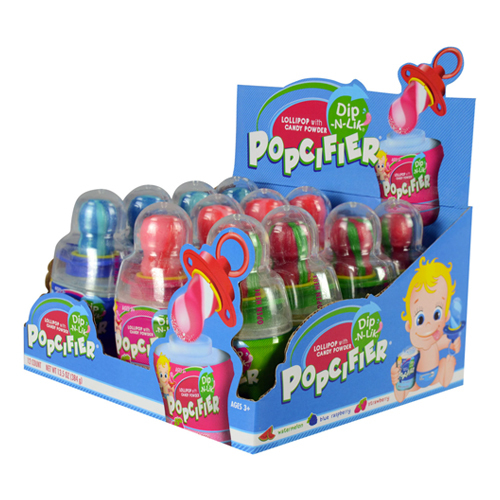 Popcifier® Dip-N-Lik® Candy will bring out the baby in you! 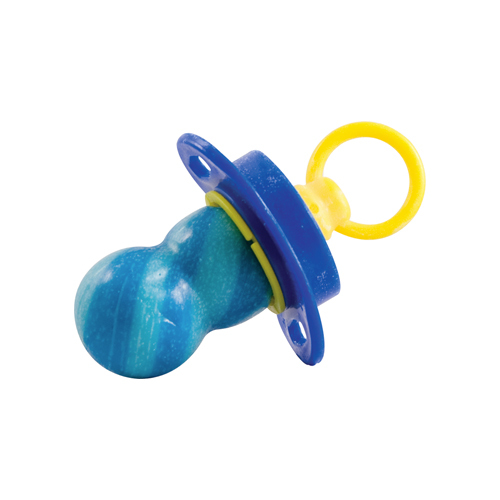 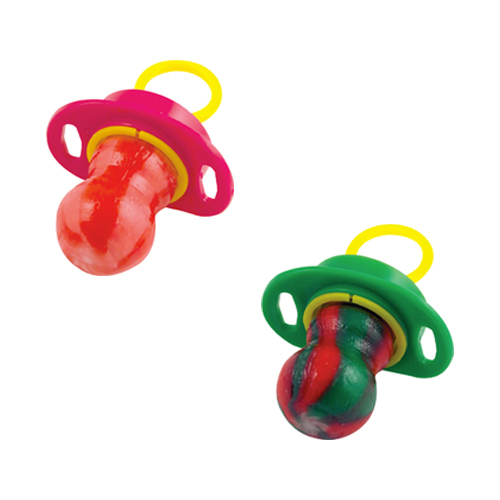 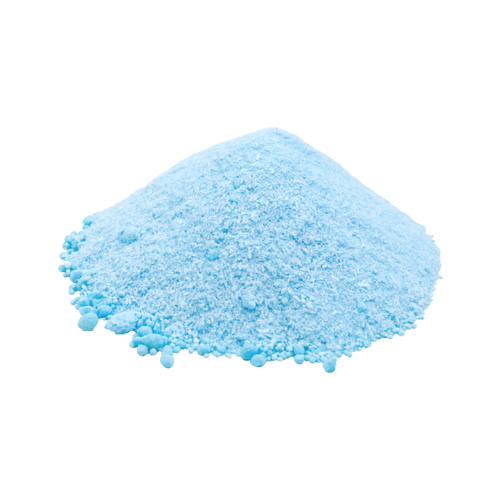 Dip these tasty pacifier-shaped lollipop treats into candy powder and lick. 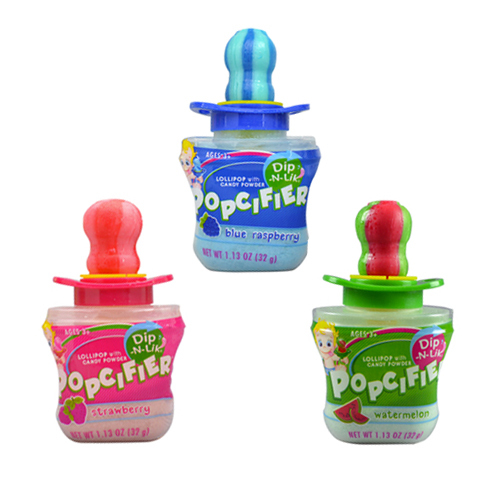 Enjoy these delicious candies in three different flavors: Strawberry, Blue Raspberry & Watermelon.